There seems to be a lot of debate about high or low G and if the A pair are in unison or an octave apart? My Ashbury was made in Indonesia, (rumoured to be the same factory as Oscar Schmidt?) 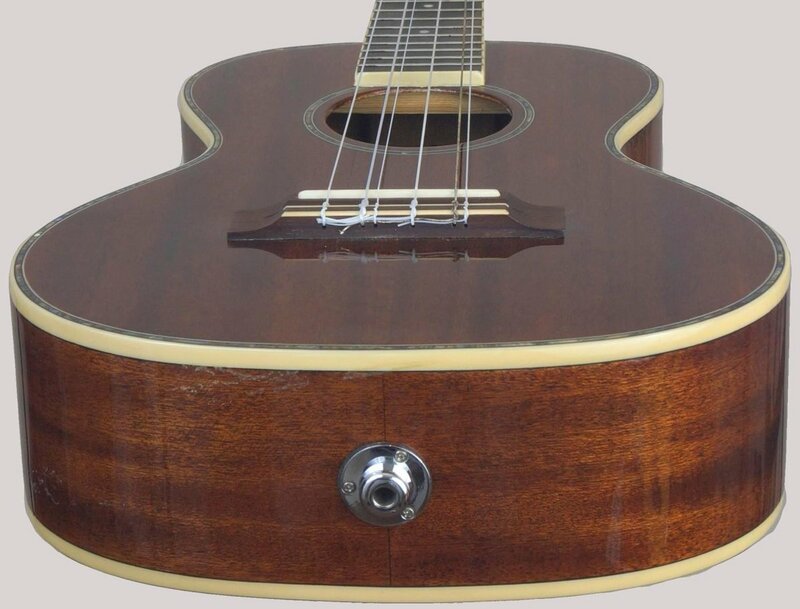 and has a laminate Mahogany body with a beautiful gloss finish and some nice tortoise-like inlay It is top of the range for Ashbury's Indonesian manufacture and I got it at a bit of a bargain price, given its quality. Since getting it I have swapped the strings with Aquilla's, (I wasn't sure if the strings it came with were a complete set or made up of multiple sets and it needed the strings redoing anyway) and it's not a job I want to have to do to often as it's a bit fiddly.